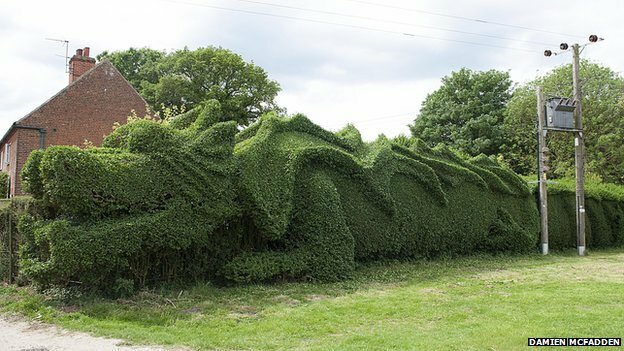 Thirteen years in the making, John Brooker of East Rudham, Norfolk, England, has crafted a 100 foot long by 10 foot hedge dragon. Complete with wings and a tale, Mr. Brooker believes the inspiration for the dragon came from his military years in Malaysia. The impetus for the topiary overhaul? 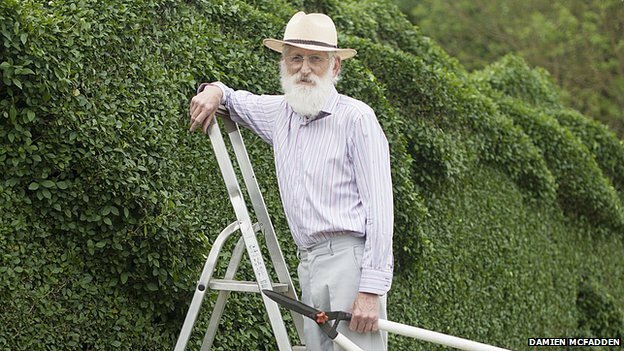 A desire to be rid of a “boring hedge”! His wife, a former graphic designer, helped him with the design but all the sculpting Mr. Brooker completed himself.